When you think of quality in architecture today, what comes to mind? Sustainability. Functionality. Cost. Occupant satisfaction. Durability. Innovation. Form. Safety. You can probably think of a dozen more contributors to quality. But what if it was like ordering at a restaurant, and you had to choose just a couple? That would be tough—much harder than picking from among your favorite dishes. The more quality contributors that you can include in a project, the better—that’s key to producing the highest-quality work. But an array of pressures can put overall quality at risk, including things like an accelerated schedule, a slim budget, disconnected design team communication, or unclear client input. And there are few projects without time, budget, or communication challenges. So you and your team do the best job you can to overcome difficulties and deliver quality work. Teams that use Building Information Modeling (BIM) have an advantage. That’s because BIM supports quality by fostering creativity and collaboration while helping to overcome challenges. Let’s look at just 5 of the ways that BIM can help architects—and the whole design team—produce higher-quality work. 1: More options. Projects don’t just have time and budget constraints—they present design challenges. What floorplan can satisfy all stakeholders? What siting options are likely to offer the best views? 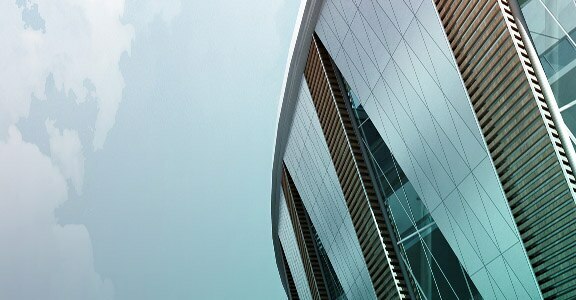 How can you creatively conceal complex building systems? Those are big issues. But something as simple as a misplaced service ladder can create maintenance problems over the life of a building. You must account for everything. Owner satisfaction rises when you deliver elegant solutions to potentially vexing issues—and when seemingly minor design choices don’t lead to years of hassle. BIM empowers you to explore more options in less time. After you’ve set up your model, it’s relatively easy to modify it to find the best alternatives, so you can make recommendations with more certainty. You can potentially present dozens of workable variations to clients in the time it takes to develop two or three with traditional 2D tools. And all those happier clients? They’re more likely to keep coming back—and recommending your services. 2: Better communication of design intent with richer outputs. You can communicate all of those options more easily, too. With BIM, you can share 3D models with clients and consultants from other disciplines. Reviewers get what you’re trying to achieve more readily—all without waiting on a rendering. When you offer them 3D fly-throughs of the building, they visualize the design almost as clearly as they would from walking through it. Better visualization leads to better feedback. Reviewers can imagine how various options will suit their needs. And then they can provide feedback that targets potential drawbacks. Is the teachers’ lounge too big or too small? Will it be a headache to get equipment into and out of the maintenance room? Client stakeholders can tell you early in the design process, making it painless to address concerns. 3: Actionable insight into building performance. The intelligent data contained within the model helps you understand early in the design process the impact that choices have on performance. Say you want to enhance energy performance by using large windows for daylighting along with sunshades to keep the building cool in the summer. BIM tools enable you to investigate how various sunshade shapes will work at various times of the year. You can undertake similar explorations into other aspects of energy and overall building performance just as readily. 4: More-accurate designs. The use of BIM can dramatically cut the number of clashes and other issues that make it into the field. You design using a 3D model, and so do the consultants you work with on the project. Much of the coordination process takes place as you design. BIM tools can also detect the missed clashes and other issues that make it into the design—before they can cause problems or generate RFIs. Certainly coordination is part of the 2D design process, too, so you do address most of the clashes that could impact overall quality in advance. But the traditional coordination process is more time consuming and prone to error. With BIM, designs teams are less likely to miss the kinds of major issues that impact quality in the field or over the life of the building. 5: Improved constructability. Quality isn’t just about outcomes. Constructability issues can increase costs, blow up schedules, and frustrate clients. When you use BIM, you can more easily collaborate with the contractor earlier in the process. Together, you can review the project for constructability issues, and you can sequence construction to help ensure that your design fits the schedule. 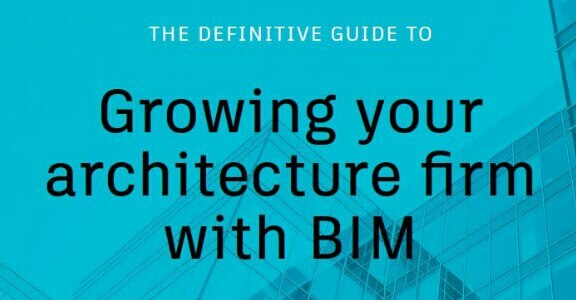 Many of your peers already use BIM to help enhance quality on their projects—70% of architects surveyed have adopted BIM in some form. And 89% of architects in another survey said that BIM improved the quality of the final design. That’s a substantial amount of agreement from a profession that doesn’t shy away from debate. Try BIM and see if you agree. Will 2D design go the way of the fax? Increased efficiency is one of the key drivers of architecture firms adopting building information modeling. Learn how BIM delivers operational efficiencies and apply these strategies to your firm. The more quality contributors that you can include in a project, the better—that’s key to producing the highest-quality work. But an array of pressures can put overall quality at risk. Here are five tips for leveraging technology to improve your design quality.